When Dr Beachcombing asked about the earliest examples of optography: photographing the eyes of the dead for their last image, I peered into the nineteen-century papers and found this fictional story focusing on the theory. “For Heaven’s sake, Tom, do not speak another word in that jeering tone. I will tell you what has happened since, on condition that you do not speak of it again. I had but a few months longer to remain at college when I was sent for, in consequence of the serious illness of my mother. On reaching home I found that Fanny was staying there, and during this time we were necessarily a great deal together. My sister was occupied in attendance on our mother, and could not often accompany us in our walks. Under other circumstances I might have seen so many different faces, have had so many visits to make, and have found so much amusement in field sports and in talking with my father respecting alterations and improvements about the estate, that I should have had comparatively few opportunities of associating with my cousin. As it was, we were in each other’s society for hours daily. The result of this constant association was, that I became passionately attached to her; and when my mother had recovered so far as to be out of danger, and I was about to return to Oxford, I obtained from her the acknowledgment that my love was returned, and I left her with the understanding that when I had taken my degree the day of our marriage should be fixed. If ever there was a man in the world who looked forward with undoubting confidence to a life of happiness I was that man. My father and mother were both favourable to our marriage, and there was no conceivable obstacle to oppose our wishes. The only person whom Fanny had to consult was her aunt, and there was nothing to fear from any objections on her part. so far as to induce her to increase his allowance; but she said she had vowed that her whole fortune should go to her niece on her death, and nothing would induce her to break this solemn resolution. “Complete happiness is better than all the cramming in the world in helping a man to read for his degree. I was up early in the morning and on the river, and had a long day afterwards for study. As I was leaving chapel one morning a familiar voice said ‘Good morning, Mr. Alfred,’ and a hand was held before me with a letter. I was so surprised that before I took the letter I looked at the speaker, and a chill came over me when I saw that it was the groom who waited upon me when I was at home. Telling him to go to my rooms, I went back into the chapel, which was now empty, and opened the letter. It was written by my father; and after exhorting me to bear the painful news he had to give me like a man, he told me briefly that Fanny had disappeared on the previous morning, and that they had been seeking her all night in vain. On reading this letter I rushed to my rooms, threw off my cap and gown, and within a quarter of an hour was driving homewards. My first question as I jumped out of the gig and took my father’s hand was, ‘Have you found her?’ His answer was in the negative. He told me she had gone out alone before breakfast, as usual, and had not been seen since, though she had been sought for in every place. I had searched several of these without success, and had got as far as The Beeches, when I suddenly recollected that there was a place called ‘Clay Hollow,’ about two miles distant. This was a very lonely spot, but commanded a beautiful view, and had been a favourite walk of ours since we had discovered it. Wondering why I had not thought of it before, I set out for this place. The pathway, which led into the hollow, wound through fume and broom, and came out behind a remarkably fine old oak. I had no need to look further. Beneath this oak lay the dead body of the woman with whom I had expected to share a long life of happiness. “If this had happened but an hour ago, I should not have a more vivid recollection of what I felt as I looked at the widely-opened glazed eyes and the distorted features which I had last seen full of life and animation. The body was carried home and laid in the great hall, and a surgeon was sent for, who, after a brief examination, told us, what I had seen already, that she had been strangled. “No other motive for the murder except robbery could be suggested; but whether she had been robbed or not nobody could tell, as at that early hour of the morning it was not likely she could have had anything about her which anybody could steal. There was indeed a brooch missing from her shawl, but this was afterwards picked up among the grass. The necessary legal formalities were gone through the next day, and a verdict of ‘Wilful Murder’ against some person or persons unknown was returned. As soon as the crowd of individuals concerned in the inquiry had departed, and I was left alone with my father and the surgeon (my sister having been sent, as soon as Fanny’s body was discovered, to her aunt to inform her of the dreadful loss we had sustained), I requested the latter to come with me to the Hall. Perfect love excludes every other feeling. I felt no shrinking horror at the sight of the dead body of my betrothed. Night and day I had remained beside the corpse; and it was while looking at the eyes, so changed since the mind had ceased to look out of them, that an idea occurred to me which I had immediately determined to put in execution as soon as the official investigation was over. The idea was, that a photograph of the retina of the eye might be magnified so as to present a distinct image of the last object depicted upon it. Every object depicted on the retina during life endures for a time, and is succeeded and efffaced by another. The duration of the image on the retina is, however, influenced by various causes. If the eye is directed towards a very brightly-illuminated object the impression made upon the retina is so strong that when the eye is turned towards a light-coloured surface the dazzling object is still visible; but, instead of appearing bright, it is represented darkly, as though it were the shadow of that object. The duration of the image is also affected by the condition of the humours contained in the eye. When death is caused by strangulation the eye becomes charged with a viscous secretion, which is not withdrawn, but coagulates and hardens, so to speak, as vitality is expelled, and the last image impressed on it is retained precisely as the picture is retained on the photograph which the light has printed on it with the most delicate gradations of tone. These and similar reflections induced me to determine to put the conclusions I had arrived at to the test. With this view I requested the surgeon to remove one of the eyes from its socket. From this I took a great number of photographs on glass, and then gave it back to him that he might restore it to its place. These pictures were of course very much smaller than the eye itself, and it was therefore necessary to devise a method of enlarging them. No very profound knowledge of the effects produced by a combination of lenses was required to point out the means of accomplishing this. I caused one of the rooms to be made totally dark, and an opening to be made in the boards which were nailed over the windows, just large enough to admit a single ray of light. This ray was made to pass through a succession of lenses, and also through the glass on which the photographic image was printed, a sheet of prepared paper being fixed to receive the magnified image, and record it in ineffaceable characters. “Conceive, if you can, the intense anxiety with which I waited for the development of the hidden secret. The day was unusually dull and wet, both circumstances which delayed the reproduction of the image. Hour after hour dragged along till the day ended, and the result was just sufficiently evident to prove that a face was growing out of the paper. I heard persons knocking at the door, but I took no heed of them. I felt neither hunger nor the want of sleep; but sat there on the floor through the long long night, which seemed as if it would never come to an end,‘till I was half maddened by my eagerness and the fear that the murderer might have time to escape beyond the reach of discovery. I thanked God with all my soul when the first faint indication came of returning daylight. The morning sun shone full on the window, and I saw with inexpressible satisfaction that the light was far more vivid than on the preceding day. By slow, very slow degrees—for it is not with these enlarged representations as with small ones——the face became more and more defined. What mixed feelings of horror, rage, and grief filled my mind while this likeness of the murderer crept slowly, but steadily, from darkness into light. It seemed as it were a phantom from the world beyond gradually assuming the solidity of an inhabitant of the earth. “At last I had before me the portrait of the last human being on whom her eyes had rested. It was that of a man, young, with good features; but with an indescribable expression of mingled terror and ferocity in his face. This, to some extent, served as a disguise; but the features were too strongly marked for it to prevent any person who knew the original from recognizing him. I showed it to my father, and he had a vague impression that he had seen a person resembling it somewhere, but that was all. I then rode with it to the police-station, and put it into the hands of the superintendent. All the constables were called in, but they all declared that they had never seen a person about the country resembling the portrait. Leaving this in his possession, I took another likeness, which I myself showed to every individual, old and young, for miles round. “All our researches were fruitless. Nobody had seen a person resembling the portrait: a circumstance the more mysterious that it was it was not that of a person who would be likely to pass unnoticed. The only plausible suggestion to account for this was made by the superintendent, namely, that the man, whoever he was, had come across the fields from the railway station, and had returned the same way; but inquiries made at the station failed to confirm this idea. “The continual sight of the effigy of the murderer almost drove me out of my senses. My brain was so far affected that I was incapable of applying myself to anything, and I believe nothing saved me from going raving mad but the conviction that I should one day discover the murderer. To search for him was my sole occupation. In theatres, on the racecourse, at railway-stations—everywhere where men congregated I sought him. I saw neither the amusements nor the business; nothing but faces. The death of my mother, which at any other time would have affected me deeply, came so soon after the other calamity that I hardly felt it. “Month after month I wandered up and down the streets of London from morning to night, avoiding no place, however infamous, where there was a chance of finding the man of whom I was in search. My quest was interrupted for a time by a letter from my sister, summoning me home. My father was very ill, and no hope was held out of his recovery. When all was over, the medical man suggested that I might be more successful in finding my cousin’s murderer if I went on the Continent. I thought he was right. I went to Paris, thence to Baden, and through all the German watering places. From Berlin I went to Vienna, and from that city to Venice, having been drawn to the latter place by a paragraph in a newspaper stating that the city was thronged with foreigners. I was always well supplied with letters of introduction to persons in every place I visited. The first I presented on the morning after my arrival in Venice was to Count Frasini, who, before we parted, gave me an invitation to a ball to come off in the evening. The Count occupied a palace facing the square of St. Mark, a very large building, which on this evening was crowded with visitors. I had seated myself on a balcony outside the ballroom, from whence I could see all who approached the Countess to pay their respects. I dare say it was close upon midnight when I saw two gentlemen making their way towards the spot where the Countess was seated conversing with the young Archduke Maximilian and the commander of the Austrian troops. The taller of the two bent his head so frequently that I was unable to get a distinct view of his face ; but the partial glimpse I get of it from time to time convinced me that I had at last found the man I had been so long seeking. I re-entered the room; but just as I did so he seemed to think it would be hopeless to attempt to reach the Countess, for he turned suddenly to the right, passed through a doorway, and disappeared. Little as I heeded who I thrust aside in crossing the room, it took me so long to make my way through the crowd of visitors that when I reached the staircase the man of whom I was in pursuit had reached the street. I rushed down the stairs, and found that they led me to a small door, which likewise opened into the square; but it was not that by which I had entered, which was at some distance and surrounded by servants and boatmen. I looked eagerly about the square, uncertain which way to pursue, when suddenly I saw a bright flash at the furthest corner of the square, as though somebody was lighting a cigar. The distance between us was so great, that I could only imagine it to be the man I was seeking. Nevertheless, I rushed across the square as fast as I could run towards him. I overtook him as he was leaning over a bridge which crossed one of the canals, looking down at the water. I seized him by the arm with my left hand, and with my right I grasped a handful of his clothes. I could not speak for the moment, so great was my excitement; and just as I was about to raise my voice for help I felt a sharp pain, and a descent through the air, followed by a sensation of extreme cold. After this I was half conscious of a cry that an assassin was in the water, and then I seemed to fall asleep. A long sleep it must have been, for it was five weeks afterwards before I knew that I had been thrown into a canal, from whence I had been taken by some boatmen who were close to me with their gondolas where I had fallen. As soon as I had recovered my strength sufficiently to move about my room (for the wound I had received was more painful than dangerous) I was told that I must consider myself in custody, the boatmen who gave me over to the police officials having told them that I was attempting to commit a robbery on a gentleman, when his two servants seized me, and in the scuffle wounded me, and I jumped into the canal. “I did not lose courage even under this disappointment; on the contrary, the conviction that I must one day discover the murderer grow stronger than ever. The first use I made of my renewed strength was to resume my search in Venice, but to no purpose; and when all hope of finding him here was gone I travelled to Rome. At this city I found an accumulation of letters from my sister. They spoke of the satisfactory way in which the bailiff, who had served my father for many years, managed the estate, of a great many matters of less importance, and urged me strongly to return home. The strongest motive she had for desiring my return she said very little about; nor did I, in my then state of mind, feel greatly interested in it. She wanted to consult me respecting an offer of marriage she had received from Fanny’s brother, who had returned to England and become reconciled to his aunt. I answered her letter, telling her that, if she liked to accept him as her husband, I could have no reason for objecting to him; that she had better act in the way most agreeable to her inclinations, subject to her aunt’s approval, and that I would endeavour to reach England in time to be present at her wedding. Having written thus, I dismissed the matter from my mind and continued my wanderings. I shall not weary you by specifying any more of the cities I visited. I had heard that my sister was married and was very happy; and, in utter weariness and almost despair of succeeding in again meeting with Fanny’s murderer, I resolved to come back here for a time. “I left London about noon, and on reaching the station where my journey ended, I told the porter to put my luggage in a safe place till I should send for it. I had not taken the trouble to write to my sister to say on what day 1 should come, so, as I was not expected, I walked across to the old oak tree beneath which the body had been found. I sat here buried in thought for a long time, and, soon after turning into the lane on my way to the house, I met a woodman with whom I had spent many days in felling trees. He was so anxious that I should go to his cottage to see his wife, who had been nursemaid in our family when I was a child, that I walked with him there. I stayed there some time, listening to what they had to say of changes about the estate, and of persons I had once known, but whose names I had then almost forgotten. On leaving them I found it was so late that I pushed my way through a hedge to get to the house by a shorter way than by following the carriage road. By going this way I had to pass through a wood; and directly I stepped out from beneath the trees I saw crossing the field, about a stone’s throw distant from me, a man carrying a gun. I stepped out briskly to overtake him. The land had been newly ploughed, so that he did not seem to hear my steps till I was close to him, when he turned round and we stood face to face. The sun was going down, and he had to bend his head a little to look at me, because of the rays which shone directly into his eyes. My heart for an instant ceased to beat. before me-—his face inclined exactly as it was in the photograph—stood the murderer I had been seeking for so many years. He, no doubt, recognised me, for he looked as inanimate as though he had been suddenly turned to stone. As soon as the shock had passed, I rushed at him, and seized him with both hands. ‘Murderer!’ I said, ‘you do not escape as at Venice.’ I looked around to see if there was anybody near I could send to the police-station to bid the constables come to fetch him away. He may have understood why I withdrew my eyes from him, for he recovered his strength instantaneously and seized me by the throat. He was far stronger than I, and I felt myself tossed hither and thither; but I clung to him notwithstanding. I tried, as I wrestled with him, to throw him, but I could get no foothold on the uneven ground; and it was he who succeeded in forcing me backwards to the earth. Still, I held him, but he could now press my throat with full force; and it was I now who had to struggle to save my own life. My head seemed to be swelling to a monstrous size, and this was the last thing I remember. “I lay in the field all that night. In the morning I was seen by the man who came to finish the ploughing, and he, with the help of the keepers, carried me home. I was quite unable to move; but I had a dreamlike consciousness of what was being done. By the time I was laid on the bed I have revived so far as to be able to speak, and the first words I spoke was an order to a man to ride as hard as he could go to the police-station and bring back with him the superintendent. “‘Your husband! Fanny’s brother!—her murderer!’ I stammered. The truth flashed upon our minds at the same instant. “For several hours she remained totally insensible; and when at last she became conscious, she talked incoherently, and has not since recovered the use of her reason. “I made him no answer; but I was thankful that the copy I had given him had been less durable than my own. “It was found that my sister’s husband had gone to London; and that is the last I heard concerning him. The idea that it was possible to see an image in a dead eye was a popular one, both in journalism and in fiction, persisting long after optography was disproved. More information about the concept may be found here. I regret that I don’t know enough about the writers who appeared in Once a Week, a weekly literary magazine, to identify the author. All versions of this story appeared anonymously. The press loved the notion and often wrote enthusiastically about attempts to capture the last vision of a murder victim on film. A startling story comes from James-town in Chautauqua County, to the effect that the experiment of photographing the eyes of a woman who was murdered there on Saturday last revealed the impression of a man supposed to have been the murderer. The figure shown was that of a large, burly man, roughly dressed, with one leg poised as though in the act of striking. The persons present were Mr. Marsh, a druggist; the Coroner, the Sheriff and Under Sheriff and the Rev. Mr. Stoddard, of the First Baptist Church, of Brooklyn. All these are said to have seen the figure distinctly. The Coroner removed the eyes for further experiments, but it was found that exposure to the light and the removal of the eyes from the head had caused a membranous film to settle over the retina so that further experiments were unsuccessful and had to be abandoned. The Coroner believes that if great care had been taken to exclude the light and the head had been removed from the body entire a startling result would have been accomplished. Failure of a Remarkable Experiment Upon Murdered Mrs. Shearman. Jamestown, N.Y., Dec. 22. 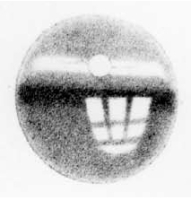 The experiments made by B.F. Prudden and Fred B. March, expert micro-photographers, of this city, on the eyes of Mrs. Shearman, one of the women murdered near this city a few days ago, resulted in failure. It was claimed that a microscopic examination of the dead woman’s eyes by five responsible men revealed the image of the murderer photographed on the retina, and the object of the experiments which were continued all night were to produce by the micro-photography process the picture. The victim was Mrs. Winslow Shearman, who was murdered with her daughter, Mrs. Clinton Davis, at the Shearman house, 16 December, 1894, while the rest of the family was attending a funeral. Mrs. Shearman was described as “feeble,” and her daughter stayed home to care for her, while Winslow Shearman served as one of the pallbearers. Perhaps the murderers believed that everyone had gone to the funeral and the house would be empty. The thieves ransacked the house, although they missed most of the money hidden there. The eight hatchet blows apiece that crushed the skulls of the two women suggest that the killers were panicked amateurs. A year later Dr. James Douglass, a dentist who lived near the Shearmans, was arrested for the murders, along with his brother Charles. Douglass was said to be considerably in debt to the Shearmans and a number of witnesses swore under oath that Douglass had commented to them about knowing how the murder was done and who did it. Still, a judge found that there was not enough evidence and ordered the men released. Which raises a legal point: If the micro-photographers had actually succeeded in capturing that image of a large, burly man, would the optogram from her eye have been admissible in a United States court like any other forensic evidence?